Rarely does a family devote itself to one profession over many generations. Generally, individuals will chart their own path in the professional field, separate from their families. However, in doing so, the lessons of the past are lost to time and those special family experiences are never passed down, quieted for history. That is why the Baggott family history is so unique. The Baggotts have a legal legacy that began years before the first battle of the Civil War was fought and that tradition continues to this day. The foundation of this rich heritage begins at the end of the 18th century with Col. William Baggott. Originally from Fredericksburg, Virginia, his family made the trek to Dayton, Ohio, while helping the federal government build the National Road, one of the first major improved highways in the United States. 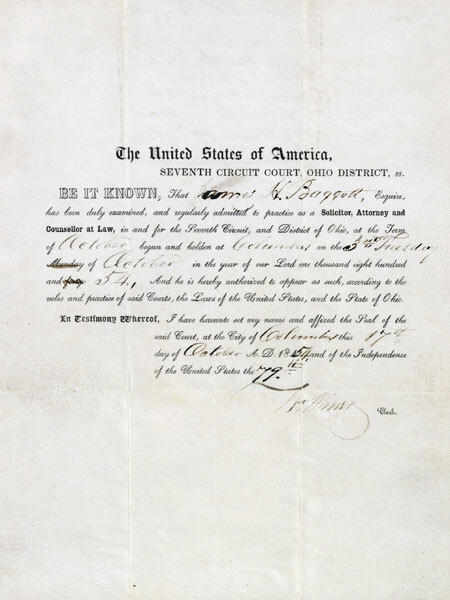 Col. Baggott's eldest son, James H. Baggott, read the law in an apprenticeship from 1848 to 1850 after attending the academy in Dayton. 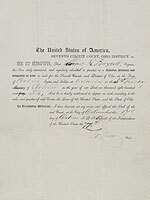 He was admitted to the bar on June 17, 1850. He was a successful prosecutor and eventually became a reputable judge, serving on the bench for Montgomery County. In 1900, James H. Baggott was joined in practice in Dayton by his nephew, Roland W. Baggott. Roland was also a remarkable public figure, gifted orator and sound legal practitioner. In 1908, he was elected Probate Judge in Dayton, which included the duties of juvenile judge. 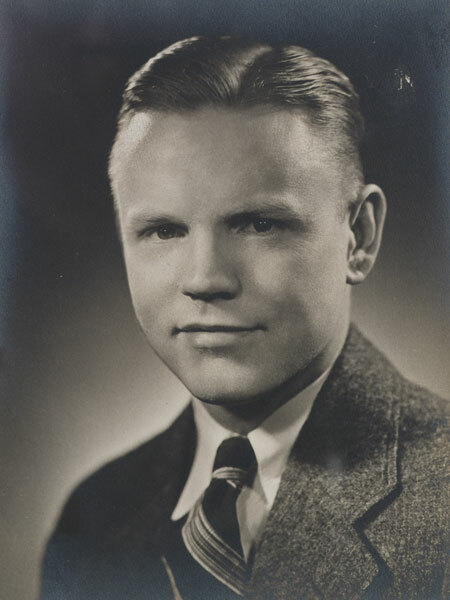 In 1914, he was instrumental in founding the first separate juvenile court in the state of Ohio. In 1916, he became Dayton's first domestic relations judge. He returned to private practice in 1926. 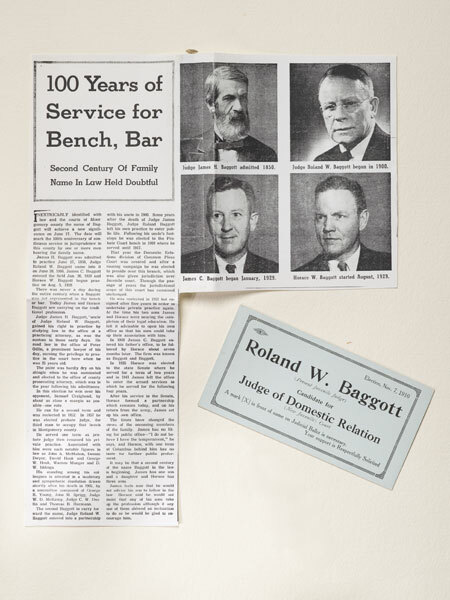 In 1929, Roland's two sons, Horace W. Baggott and James C. "Jim" Baggott, were admitted to the bar and joined their father in practice in Dayton, focusing on representing victims of injury. They continued their family's exemplary work and were recognized as some of the finest counselors in Ohio by their peers in the legal community. The Baggott tradition of public service continued to flourish. 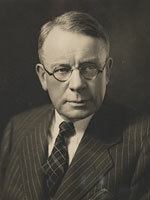 From 1937 to 1938 Horace was a member of the Ohio Senate (Ohio Senators serve two-year terms). 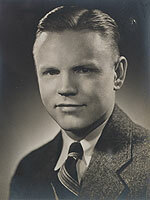 In 1956, Jim established the right of privacy in Ohio through a landmark case that he took to the Ohio Supreme Court. See Housh v. Peth, 165 Ohio St. 35, 133 N. E. 2d 340 (Ohio 1956). In 1960, the next generation followed when Horace W. Baggott, Jr. joined his father and uncle in practice. 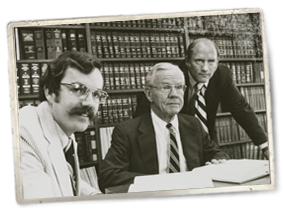 In 1971, Horace Sr.'s youngest son, Thomas M. Baggott, joined the family firm where his primary focus was representing victims of injury, domestic relations and probate law. In 2000, Thomas became a Probate Magistrate, and held the position through 2004. He has since returned to private practice, focusing on probate matters. His office is located in Dayton, Ohio. The family name and heritage are carried forward in the latest generation by Thomas' son, Roland W. Baggott III, who practices in Nashville, Tennessee. After starting his career in New Orleans, Louisiana, Roland now maintains a concentration in franchise law and prides himself on the unique client-oriented focus of his firm. Roland understands the enormous tradition of excellence he upholds with each new matter he accepts. It truly is a rare thing, indeed, for a family to devote itself to such an endeavor as the study and practice of law. What is even more rare is for the mark of excellence to be carried down through the ages as it has been with the Baggott family.